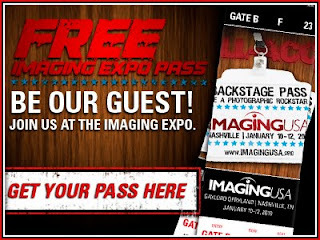 Come join the StudioCloud team from January 10th to January 12th at the Imaging USA Expo in Nashville, Tennessee. Visit the StudioCloud team at booth #236 where they will be doing interactive demos and giving away great prizes! Learn more about StudioCloud and how it can transform your business. Click here to receive a free pass to Imaging USA's conference floor. We hope to see you there!